I AM SO SO SO SO SO SORRY FOR THIS!!! I AM REALLY SORRY!! BUT IT HAS TO HAPPEN!!! Omg, when I was writing this, I had to stop so many times and just 😩😣😞BREATH!!! But don’t worry, it doesn’t last long. Just… AAAARGGGHHH I AM SO SORRY!!! Um, chapters 1 2 3 4 5 6 7 8 9 10 11 12 13 14 15 16 17 BONUS 18. REMEMBER I’M SORRY! “There’s nothing like summer in the city. If only it was summer right now!” Burr says on Thursday, December 13th. He’s working with the Hamilsquad on an assignment during French. “You can say that again!” Alex replies. He is wrapped up in every jacket, hat, and scarf he owns. Well, maybe not all of them, but you get the idea. “You think this is bad? In Ireland-” Herc begins. “Mon amour, you’ve told us a million times how cold it was in Ireland,” Lafayette interjects. “Okay, we get it, it’s cold. Now, can we get back to the assignment?” John asks, slightly annoyed. Alex sighs. “Yeah, you’re right, we better get back to work… right after I go to the bathroom.” He gets up and asks the teacher to use the restroom. He then signs out, takes the pass, and heads to the bathroom. Alexander looks both ways before tapping his foot three long times, and then one long one short one long. This is morse code for OK. She comes out of the bathroom, as beautiful as ever. “Hey Maria,” he whispers. He cups her face in his hands and kisses her passionately. This has been going on for almost a week now. The first time it happened, when she asked to meet him, he was a little hesitant. But… something inside of him gave in, and he doesn’t know why, but he has continued coming back. Yes, he knows he is cheating on Eliza. But when he’s with Maria, it just feels… different, and his mind doesn’t think straight. He wished he could say that first time was the last time, but it became a passtime. The fact that he hasn’t been getting a lot of sleep has helped cloud his mind. After a minute or two of this, he pulls away. “Can’t get sidetracked,” he murmurs. She nods and pulls away reluctantly. “I’ll see you again tomorrow, second period,” she says before going back into the bathroom to freshen up. Alex does the same, making sure nothing looks different. He erases the guilt from his eyes and replaces it with a look of tiredness. He goes back into French as if nothing is amiss, as if nothing is wrong. As if he wasn’t just making out with Maria, cheating on his girlfriend who is the sweetest person in the world. Not thinking of what would happen if her boyfriend found out, because in his mind, that would never happen. He ignores the little voice saying What the heck are you doing? He is pretending that nothing is wrong, nothing is different, and he hides it pretty well. John can see the look in his eyes. It’s a look that is masked with tiredness, but he can see through that layer like glass. He can see the guilt and the longing and the pain behind the mask, but he doesn’t question it. He feels like he’s been nosy enough with his friend. Maybe if he had said something, Alex would have stopped. Maybe if Alex had listened to the little voice, he could just erase it from his mind. Maybe, if John had told his best friend his deepest secret, it never would have happened in the first place. But, sadly, none of this happened, which brought about what happened the next day. She looks to her left slowly. Alex follows his gaze and sees James Reyes standing there, his phone out, having taken a picture of them. Alex pulls away from Maria in horror. He stares at James, and then Maria. Guilt is written all over her face. She just looks down, ashamed. He squeezes her arm tighter. “Weren’t you?” he asks more forcefully. “Very good. Now, I’ll make you a deal. I have a picture of you and Maria, and it’s my word against yours. All you gotta do is pay me,” he tells him, his grip never loosening. “Pay you what?” Alexander asks hesitantly. “But, but you’re a senior! And the essays nowadays are really big to prepare for midterms! And I have to do your essays for the rest of December?” Alex asks, exasperated. He has no response to that. James smiles. “That’s what I thought. I’ll give you the first assignment after school. Now you better get back to class before your teacher starts to wonder where you are.” Alex heads back to class, wondering what he’s just signed himself up for. He’s going to have so much work to do. It’s hard to hide the extra assignments from John. I mean, they share a room, and both of them study and work on assignments together. So he has to wait until he’s asleep, but even then, John is always begging him to actually get some sleep. “I just need to finish this assignment,” he murmurs, taking a sip of his coffee. John walks over to him, half asleep in his turtle pajamas, and puts his hands on Alexander’s shoulders. “Take a break, and go to sleep,” he says, stifling a yawn. “Alright, alright, I promise.” True to his word, eight minutes later, he’s finished the essay, and he starts searching his drawers for his pajamas. He puts on his onesie (yes he has a onesie) and climbs into bed. “You’re wearing your onesie,” John remarks from his bed. “Yeah?” Alex asks, wondering why his friend is bringing this up. “Just these midterms are killing me,” he replies, rubbing his eyes. “I just don’t feel like it Laurens, okay! ?” he bursts suddenly. He immediately realizes what he just said, and he puts his hand over his mouth. Not only did he just yell at his best friend and reveal that something is wrong, but he just called him by his last name. They only call their enemies by their last name. “I was just trying to help,” John says quietly, in that tone, the one that is dangerous. Alex nods, even though his friend might not be able to see it in the dark. “I know, I know, it’s just that this… this is just different. But it will all be over by the end of the month, so it’s fine. Now goodnight John.” He lays down. John wants to talk to him more, but at the same time, he wants Alexander to sleep. The next week is midterms. Everyone has been studying non-stop, and now the moment of truth has arrived. It’s time to put all of their knowledge to the test. Alex hasn’t been sleeping that well, and neither have John, Laff, and Herc. The stress has definitely gotten to them, and they’re all pretty edgy. So when Jefferson tries to taunt them before their first test on Monday, they don’t want to put up with his attitude. “You ready to fail your tests?” he asks. He, too, is stressed and hasn’t been sleeping very well, so he’s taking it out on them. Madison warned him not to bother them, but he didn’t listen. He’s soon regret that. “OH JUST SHUT UP JEFFERSON!! !” Hercules shouts. Lafayette, agitated, begins to speak rapidly in French, most of it insults and swear words. John just stares him down, which is really, really bad because he never ever does that. He’s too kind of a person, but right now, he just does not want to deal with Jefferson. Madison comes up and taps his friend on the shoulder. “Thomas, we better go now.” He just nods, a little bit stunned. They leave the fuming Hamilsquad behind. At the end of the day, they feel pretty confident about how they did. But there are still three days to go (They have Friday off because it’s the start of winter break and they need a break from their tests). The next few days, Alexander has two cups of coffee every day, but it doesn’t affect him in any extra way, because he’s just that tired. Finally, it’s over, and on Thursday after school, they all head to the Cocoa Cafe to celebrate. This time, Vanessa is behind the counter, and she greets them with a warm smile. “Hello boys! It’s so good to see you again!” she says, coming out from behind the counter to greet them. That’s when they notice something different. John notices first, and his eyes widen. He looks at Vanessa, who gives him a knowing smile. He does his signature better-than-any-fangirl’s squeal before running up to her and giving her a big hug. “Oh my gosh, I can’t believe it!” he shouts happily. “What? What is it?” Alex asks. John steps away, and they can see the bulge under her shirt. “I’m five months in,” she says. They all screech and rush up to her, giving her a big group hug, but making sure to be gentle. Just then, Usnavi comes out and sees them huddled around her. “Well, it looks like they found out!” he says with a smile. They pull away from the hug, and Usnavi wraps an arm around his wife. “Is it a boy or a girl?” Lafayette asks. “It’s a little boy,” Vanessa tells them. “I’M GOING TO BE AN UNCLE!” Hercules shouts. “Mon amour, we’re not even related to them,” Laff points out with a laugh. “Well I still want to be known as Uncle Herc,” he says. The married couple laughs. “We’ll see about it,” Vanessa says. “So, how’d midterms go?” Usnavi asks. “Stressful, but I’d say pretty well,” John says. His friends nod in agreement. “We’ll probably end up going to bed when we get home,” Alex remarks. “Well, in the meantime, what can I get you four?” Usnavi asks, walking with Vanessa to the counter. “Are you sure?” Usnavi asks. They pay, and Vanessa gets the baked goods while Usnavi makes the hot cocoa. They take their food and sit down at one of the tables. “Honestly, more people need to know about this place,” Alex remarks, taking a bite of a lemon fudge piece. “But, John, what if it turns into too much work for them? Or we can never hang out here again because of how many people there are?” Alex asks, concerned. “I think that would be okay,” Lafayette replies. “But make sure they don’t tell a whole lot of people about it!” Herc adds. “Agreed. And tell them to tell Usnavi and Vanessa that they’re friends of ours!” Alex seconds. They all nod and finish their hot cocoa. They say goodbye and congratulations to Usnavi and Vanessa before heading home. As soon as they all get to their individual houses, they all skip dinner and go right to sleep. Lafayette if the first one to wake up, which is at noon the next day. He and his mom go to the store to do some Christmas shopping for his friends. Hercules wakes up at three in the afternoon, and immediately goes to the kitchen to get some food. He then helps his mom and dad decorate the Christmas tree. John wakes up at six o’clock, and is startled to see he slept so late. He then heads downstairs, just in time for dinner. When he goes back upstairs to his room, Alex is still crashed out on his bed. Not tired yet, John opens up his computer and begins to watch stuff on Netflix. It’s not until eleven at night that Alexander wakes up. John glances over at him as he stires and asks, “So, how’d you sleep?” Alex rolls over and looks at the time. Alex sits bolt upright in bed. “WHAT?!? !” he shouts. “Sure,” Alex replies, not questioning it whatsoever. He goes downstairs and heads to the fridge. He gets some chicken nuggets out and puts them in the microwave, which seems really loud in the dead of night. He then gets the Cheetos, an apple, two Sprites, and a bag of caramel popcorn. He glances over at the microwave, and it reads 0:05. His eyes widen, and he runs over to microwave, trying to not drop anything. He barely stops it at 0:01. “That was a close one,” Alex says quietly. He grabs his chicken nuggets and heads upstairs with all of his food. “Your Cheetos, my good sir,” Alex says in a mock British accent, handing John his Cheetos. “Oh, you are oh so kind, my fine gentleman,” John replies, also doing a mock accent. They both burst into laughter. They then begin to eat their food. “Sure,” John replies, taking the Sprite. “OMG that’s brilliant!” John whisper-shouts. “Huh. I like it! Let’s do it!” He then yawns. “Despite how much sleep I got, I’m still tired. See you in the morning!” He lays back down to sleep. John closes his computer and climbs into bed, thinking about Christmas and mistletoe. The next day, they go to Target to get gifts. They start off by getting things for Henry and James, and then they go their separate ways. John’s mom goes to get presents for everyone in the Hamilsquad, including her son. John and Alex shop for one another and also Laff and Herc. John also gets something for his mom and dad. Alex gets stuff for all the parents, since all of them have taken care of him throughout the past two years. They pay and separate everything so no one can peek at presents. When they get home, they wrap everything and either put them under the tree or hide them in various places around the house. Just as they’re done, John’s dad comes home with the boys, and together, they make Christmas cookies. “My hands are covered in flour,” Alex says as he and John are cutting their cookies out. James and Henry already did there’s, and now they’re decorating. “I can see that,” John replies. “And that means dough won’t stick to my hands so that I can walk away with it and eat it,” he pouts. John laughs. “Look, you just do this.” He takes a little bit and pops it into his mouth. “But now you have to wash your hands!” Alex points out. Once they’re done, they put them in the oven and wait. While decorating, John puts a lot of time into his, using his artistic abilities to make it perfect. Alex sort of puts time into his, but it’s mainly to arrange sprinkles to spell out things like ‘Merry Christmas’ and ‘For Santa’. “Mommy, can we eat one?” James asks in a sweet, innocent little kid voice. “Oh, sure,” she says. “You guys can have one, too,” she says, looking over at John and Alex. “But they’re too pretty to eat!” John exclaims, looking at his cookies. “You can have one of mine,” Alex offers, handing him one in the shape of a Christmas tree with golden sprinkles on it. “Thanks Alex,” John says, taking it from him. Alexander’s phone dings, and he pulls it out of his pocket to look at it. It’s from Eliza. Hey Alex! John told me about the Cocoa Cafe, and I was wondering if you were available to hang out there around 6. Alex checks to make sure they have nothing planned before replying, I’m open. Meet you there? Later that day, he goes to the Cocoa Cafe. Eliza arrives not ten seconds after him. “Hey Eliza!” he says, giving her a kiss. “Okay…” She looks at all of the options. “I can’t decide! Any recommendations?” she asks Usnavi. “Ooh, they all sound so good! Um… could I get one of each? And a hot cocoa?” She turns to Alex for confirmation. “Thanks,” Alex says, handing him the money. Usnavi gives him their order, and they find a table to sit at. Eliza takes a sip of her hot cocoa and her eyes widen. “This is the best thing I’ve ever tasted!” she exclaims. Usnavi hears her and smiles. “I know, right?” Alex says, watching his girlfriend with adoration in his eyes. But she’s not the only one he’s looked at like that. Alex blinks away the thought of Maria. That’s past him now. It’s just him and Eliza, in this perfect moment. After they’re done with their hot cocoa, they decide to walk around for a little bit. They hold hands and walk in silence, taking in the sights of the city. She takes the box and carefully unwraps it. 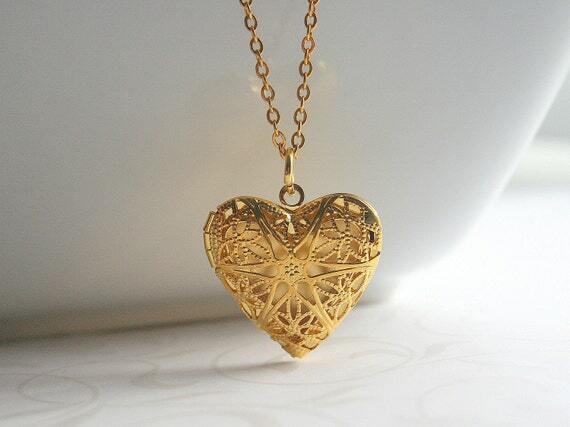 Inside the little box is a beautiful gold locket with intricate designs. She gasps as Alex takes the locket out and places it around her neck. “It looks beautiful on you,” he remarks. “Oh, Alex, it’s beautiful! Thank you so much!” She gives him a big hug and then a passionate kiss. “I will. Bye Alex, love you!” She gives him another kiss before going inside. She is such a pure, innocent cinnamon roll. Alexander heads back home, a smile on his face.